With our long experience in the driving school motor insurance market, and already being the number once choice for driving instructors, C & A Mackie Insurance Brokers are well placed to offer motor fleet insurance to this industry which provides driving tuition to pupils every day. Contact us by completing the quick quotation form on the right and we will start working on your Motor Fleet Insurance Quote for Driving Schools. Your quotation and policy will be with one of our long established insurer partners and will have the correct wording included to allow you to carry our driver training and pupil tuition. 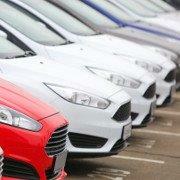 We can cater for fleets of 3 vehicles up to over 1000 vehicles. As a client of C & A Mackie Insurance Brokers you can rest assured that when you have a claim you will qualify for our market leading claims service. We look after you 24 hours a day, 365 days per annum. As with all our clients you will receive a dual control car whilst your own vehicle is being repaired. Your accident damaged car will be booked into a body shop and we will monitor progress of your repair and constantly check how your claim is progressing. If you or any of your passengers are injured our Claims Department will bring in our legal specialists to handle personal injury reimbursement on your behalf. This is a bespoke claims service which is not being matched by any other broker in the driver instructor market, providing driving school with a valuable and unique service. We know the pressures and costs driving instructors and schools face and we make it our job to bring excellent customer service and more value to the forefront of our offerings. It does not matter if you have a mix of Approved Driving Instructors (ADIs) or Potential Driving Instructors (PDIs) driving within your fleet of vehicles, we can consider a quote. We can arrange instalments on your behalf via Close Premium Finance to pay your annual premium over ten months, no deposit is needed.